Find Collection of HD True Picture New Year Cards 2018. Real HD Pictures of Nature and Flowers are used to make these New Year Cards. 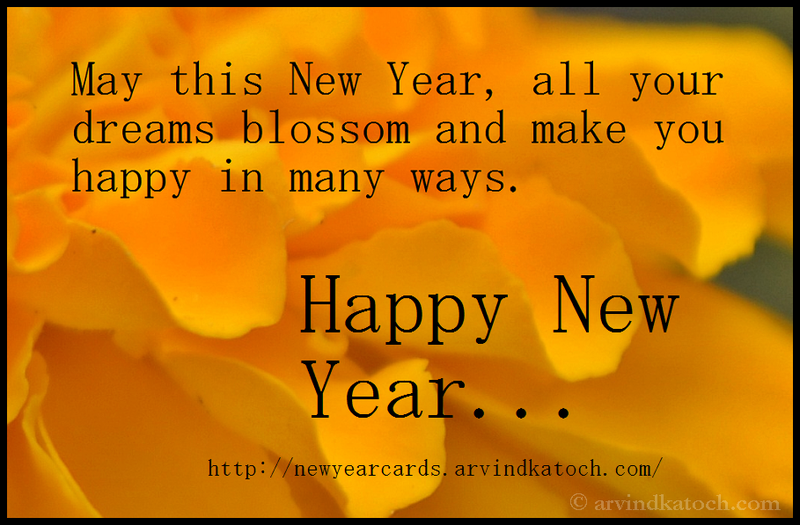 "May this New Year, all your dreams blossom and make you happy in many ways. Happy New Year"
Count your life by smiles "Count your age by friends, not years. Count your life by smiles, not tears. Happy New Year"
Here is a beautiful Happy New Year Card in Indian Style. This card is based on the Yellow Marigold flowers. A New Year is the best time "A New Year is the best time to make fresh new beginnings. Happy New Year..."